Daryl D. Schmidt, 61, former chairman of the religion department at Texas Christian University, died Tuesday, March 21 of cancer, which was diagnosed a few weeks ago. Dr. Schmidt was a leader of the California-based Westar Institute, or Jesus Seminar, a group dedicated to renewing interest in the search for the historical Jesus. He was on a year-long research leave and was due to fly to Europe to look at ancient biblical manuscripts in the Vatican library and at other locations. He was born Aug. 12, 1944, in Sioux Falls, SD, and grew up on a dairy farm there. He received a bachelor's degree from Bethel College in Kansas, a master of divinity from Associated Mennonite Biblical Seminaries in Indiana and a doctorate from the Graduate Theological Union in California. 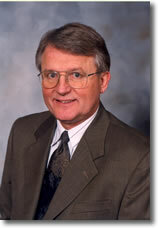 He began teaching religion at TCU in 1979 and served as chairman of the department from 1999 to 2005. Survivors include his wife, Judy Dodd Schmidt of Fort Worth; his father, Arnold Schmidt of Parker, SD; a sister, Jeanine Schmidt Spomer of Worthington, MI; and a brother, Delwin Schmidt of Parker, SD.